Purpose: To provide opportunities for our members to become better leaders in their profession. 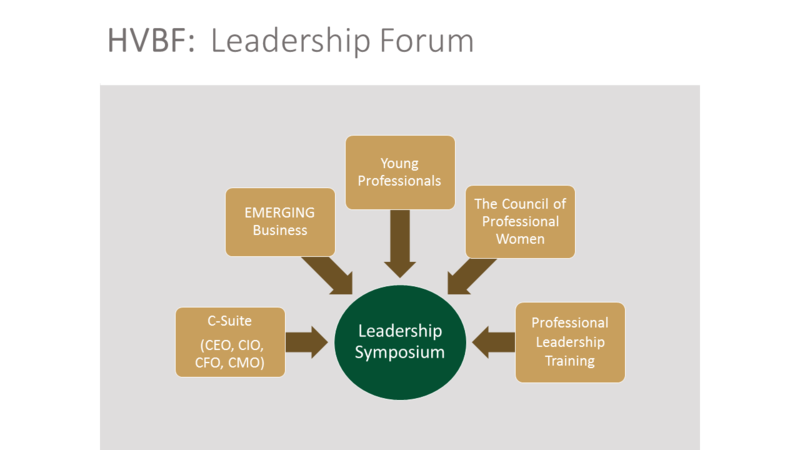 This forum serves our Educational Symposium, as well as our Women in Business group, Young Professionals group, Small Business group, C-Suite group, and our Professional Leadership Training group. Forum Business Women is a group of professional women who meet once per month to network with other women, provide support and mentorship for each other, and discuss topics relevant to being a successful professional in the business world. C-Suite is a group of CEO’s, CFO’ COO’s, and other “chiefs” who meet once per quarter to connect with their peers to discuss business strategies necessary for building their organizations. Professional Leadership Training is a group professional that meet quarterly to connect with other professionals and discuss issues relevant to developing overall leadership skills.